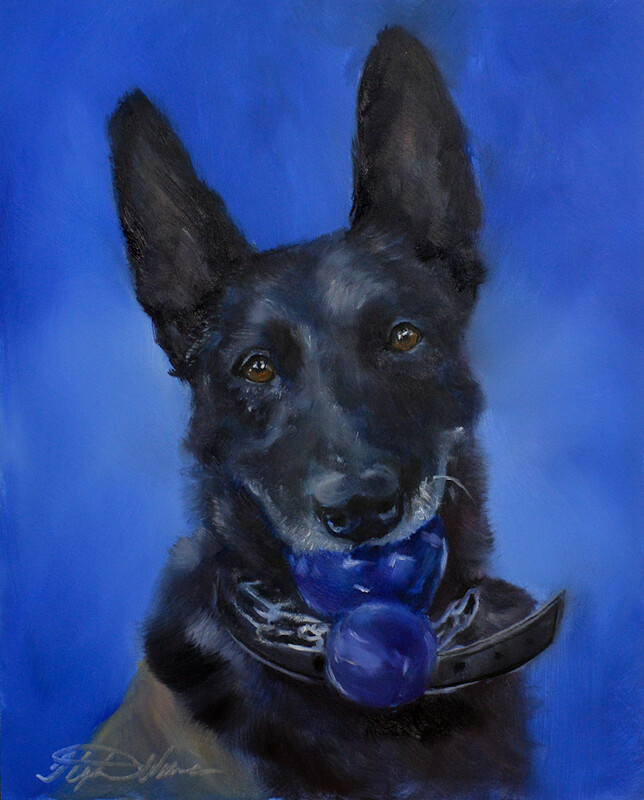 Thank you Anne for providing the reference photo of CWD (Contract Working Dog) Rocky PEDD (Patrol Explosives Detection Dog)! CWD Rocky PEDD is a 7 year old male Dutch Shepherd that served in Iraq and Afghanistan. CWD Rocky PEDD is a 7 year old male Dutch Shepherd that served in Iraq and Afghanistan. He was retired early due to heat stroke /heat exhaustion. He could not tolerate the high temperatures needed to work overseas. He enjoys water play and playing fetch on cooler days. Thank you Anne for adopting CWD Rocky and thank you CWD Rocky for your service!